Professor Pro is an English smasher from London who mains Fox in Melee, currently ranked 1st on the United Kingdom Melee Power Rankings, 6th on the European Melee Power Rankings, and 56th on the 2018 MPGR. He quit maining Peach in 2008 and has gone on to main Fox exclusively. Since then, he became known as one of the best Fox players in Europe, as well as one of the most technical. He had a notable set win at Paragon Los Angeles 2015 against Hungrybox, winning 2-1, and also defeated Leffen 3-2 in winners finals of Kickstart 7, although he lost the following two sets in Grand Finals. His other notable wins include S2J, Ice, Shroomed, La Luna, MacD, KJH, MikeHaze, Wobbles, Nintendude, n0ne, and Dizzkidboogie. Professor Pro is also well known around the world for his performance with his Snake in Project M, achieving strong tournament placings and pushing the PM Snake metagame. He is considered to be the best Project M player outside the United States. Professor Pro was formerly ranked 12th on the PMRank 2016. 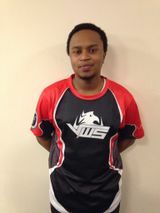 He started playing Melee when the game came out with his friend Andre, but when he found out the advanced techniques in around April 2007, his friend decided to retire from Smash, while he carried on playing it and joined in with the competitive side of the game. He has caught the eyes of VwS Gaming (previously known as Reign eSports) and they have picked him up on their team, where he hopes to expand his Smash career. He left VwS Gaming on January 3rd, 2017. Professor Pro gained recognition as a top professional Project M player at B.E.A.S.T 4, where he took 2nd place in the Project M tournament after defeating Leffen 3-2 in losers' finals and bringing Armada to game 5 in grand finals before losing the set 2-3. He then became the first player ever to take a set off of Armada in a Project M tournament during Smash or DI winners' finals, which he won 3-1, although Armada still ended up defeating him 3-1 in two consecutive sets of grand finals to take the tournament. Professor Pro later attended his first North American tournament at SKTAR 3, where he took 3rd place in Project M singles, defeating players such as Junebug and Strong Bad in winners' bracket, and also taking out Mew2King 3-2 in winners' semis, before losing to Emukiller 1-3 in winners' finals and then to Mew2King 0-3 in a rematch in losers' finals. He also placed 7th in Project M doubles with Strong Bad. One notable event that occurred at the tournament was a $100 money match between Professor Pro and Rolex, in which Professor Pro ended up winning 4-2, solidifying his position as the best Project M Snake player in the world at the time. Professor Pro's second North American tournament was The Big House 4 five months later. In the top 32 bracket of Project M singles, he swept through winners', defeating Westballz 2-0, Oro?! 3-0, ZeRo 3-2, and Mew2King 3-0 to make it to grand finals against ZeRo. After losing a very close first set 2-3, he lost the second set 0-3, placing 2nd in the tournament. In Project M doubles, he teamed with Armada and made it to the top 8 bracket from winners' before losing to Junebug & Pink Fresh 0-2 and then to Oro?! & Ripple 0-2, placing 5th. Professor Pro is well recognized for his proficiency in the Ice Climbers matchup in Melee, with a 3-1 set record in his favor against Nintendude, as well as wins over Wobbles, ChuDat, Dizzkidboogie, and Fly Amanita. This page was last edited on April 22, 2019, at 00:34.